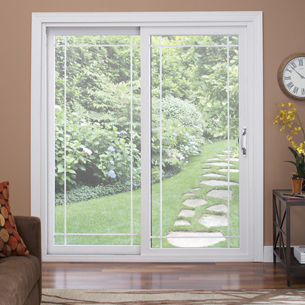 Patio doors are your access to the great outdoors that Baltimore has to offer. No matter what style door you desire, French, Contemporary or Classic, we have exactly what you need to enhance your home. All of our doors are designed with your needs and functionality in mind, are and built to stand up to even the harshest elements. 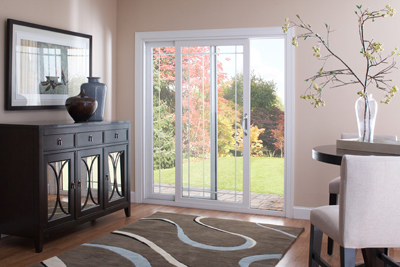 When you see our Window World Sliding Patio Doors in person, you’ll understand why we pride ourselves on the design. Created for ease of operation and unbeatable protection against all weather conditions, our patio doors are built from premium vinyl construction, with a heavy-duty mainframe and sash, multi-chambered extrusions and steel-reinforced interlocking meeting rails. All of this combines for superior strength and structural integrity. Want a way to save each month on power? Our patio doors are some of the only ones on the market that help you achieve thermal protection all year long. 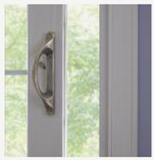 Each door comes with dual internal/external weatherstripping, a compression bulb seal, closed-cell foam gaskets and a 1″ thick insulated glass unit with a warm-edge spacer system – resulting in a tough shield against energy loss. 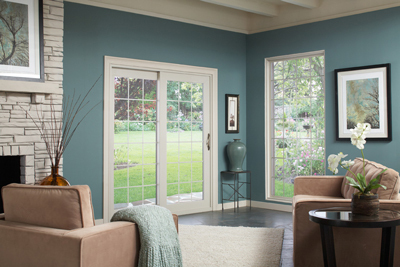 We all love the classic French Door look. There’s just something about them that adds a level of elegance. For those who want this look but also need to save on space, we offer a French-Style Sliding Patio Door. The 5″ top rail, 7″ bottom rail and 3″ side rails further enhance the aesthetic appeal. Love the contemporary look? Who doesn’t. Our Contemporary-Style Sliding Patio Doors have clean lines, symmetrical 3″ rails, and will add modern sophistication to any room. We’re big fans of helping you save energy. Which is why we offer SolarZone Insulated Glass Packages, which have proven to be far more effective than ordinary clear glass units. When you look at the performance data on the patio door’s glass label, you will see some numbers. The lower the U-Value (also known as U-Factor), the less energy you’ll need to heat your home. The lower the Solar Heat Gain Coefficient (SHGC), the more you’ll conserve on air-conditioning. Tradition never goes out of style. 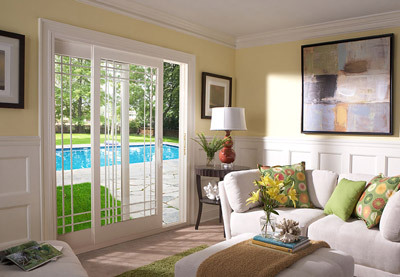 Our Classic-Style Sliding Patio Door offers you the elegance and functionality you want in a sliding patio door. It’s generous 5″ rails and smart finishing details give any room a refined touch.